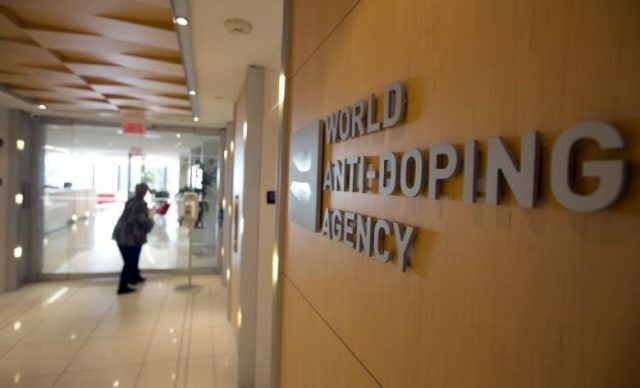 Wrestling, boxing and weightlifting had the highest percentage of Adverse Analytical Findings (AAF) of the Summer Olympic sports in 2016, the World Anti-Doping Agency (WADA) Testing Figures Report has shown. The Report only records AAFs where banned substances were found, rather than confirmed Anti-Doping Rule Violations (ADRV), and so not all of the cases recorded will have necessarily resulted in sanctions. Additionally, one single result may not correspond to one athlete, with multiple findings from athletes possible. Of all the summer sports which will feature at the Tokyo 2020 Olympic Games, baseball and softball had the highest percentage of AAFs, with 5.3. Both sports will return to the Olympic program in the Japanese capital after being absent since Beijing 2008. Wrestling at 2.7, boxing at 2.0 and weightlifting at 1.9 were the top three of the Rio 2016 Olympic sports. According to the WADA figures, only two tests were carried out in skateboarding last year. No tests had been carried out in skateboarding in 2015. The sport was added to the Olympic program in August 2016 as one of the five additional sports selected by Tokyo 2020, at the same time as baseball and softball’s return was confirmed. There were 300,565 samples collected in total last year. 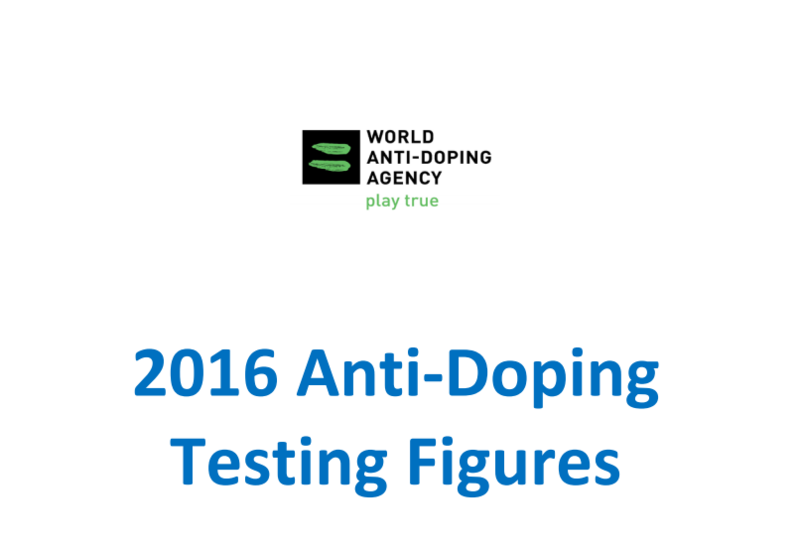 Athletics, cycling and football conducted the most drug tests in 2016, having also been responsible for the most tests in 2015. A total of 33,227 football samples were analysed across WADA-approved laboratories, compared to 31,433 in athletics and 23,132 in cycling. All three sports conducted more tests than they did in 2015. Aquatics was the next on the list with 15,174 samples collected, followed by weightlifting with 8,834 and rugby union with 7,366. Basketball and wrestling were the only other sports on the Rio 2016 Olympic program to conduct more than 5,000 tests last year. Golf collected the least samples of the sports at Rio 2016, with a total of 612 tests taking place. Modern pentathlon and equestrian conducted 639 and 671 tests respectively. Skiing produced the highest number of samples in Winter Olympic sports in 2016, with 4,738 collected. It was followed by skating and ice hockey, which collected 3,611 and 3,229 respectively. The latter had the highest percentage of AAFs at 1.1. Curling collected the fewest samples of the winter sports, with 224 collected and no AAFs recorded. Of all the non-Olympic sports, bridge had the highest percentage of AAFs. A total of 22 percent of the 59 samples collected resulted in an AAF. Bodybuilding had the second highest percentage, at 19 percent, with kickboxing following at 6.4. Sambo and muay-thai had 5.9 and 5.5 percent of samples result in an AAF respectively. The report summarizes the results of all the samples WADA-accredited laboratories analysed and reported in WADA’s Anti-Doping Administration and Management System (ADAMS). WADA’s 2016 Testing Figures Report is the second set of global testing data since the 2015 World Anti-Doping Code came into effect at the start of last year. insidethegames has contacted the governing bodies for baseball/softball, weightlifting, wrestling, boxing and skateboarding for comment. Next articleDid Coaches Encourage the Wray Brothers to Hide Injuries?